Diane Feinstein and Congressional Democrats are not serious about job creation; if they were they would muster the votes to override along with Republicans ObamaCare,” DENIAL.” The uncertainty has virtually killed new job creation. NO REASON TO WAIT: The only people talking about “brinkmanship” or a “standoff” over the debt limit are the White House, Democrats, and the Left. What has been missing is presidential leadership – and presidential plans. President Obama has no plan; his budget for 2013 was shot down by unanimous 50 votes by Senate Democrats. REPEALING OBAMACARE: House Republicans have voted 29 times to repeal, defund, and dismantle the president’s health care law, which is raising costs and making it harder for small businesses to hire. Speaker Boehner said this week anything less than full repeal is unacceptable. This is why voters must rise up in November and fire Democrats like Dianne Feinstein who will be losing her position while backing this completely flawed an overly expensive legislation. FAST & FURIOUS: At the White House, Speaker Boehner urged President Obama to cooperate with the investigation into “Fast & Furious.” House leaders sent a letter demanding answers from Attorney General Eric Holder. Their has been absolutely no cooperation from the Democrats on this horrific issue. They cry about lack of bipartisanship, yet their pleas are disingenuous and fall upon deaf ears. FIXING THE TAX CODE: Ways & Means Committee Chairman Dave Camp (R-MI) outlined Republicans’ commitment to fueling job creation by stopping the coming tax hike on small business job creators and fixing the tax code. 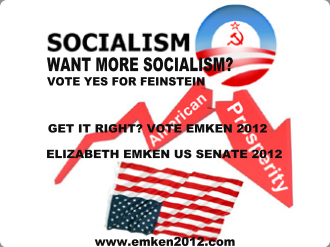 A Key proposal from Elizabeth Emken, (Please visit Elizabeth her on the issues here) while Dianne Feinstein will vote for the status quo. 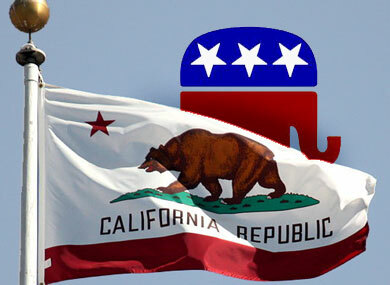 Feinstein is all about power and perks while failing to see voters will not continue to support “tax and spend” jerks. Diane Feinstein dutifully voted against the Keystone Pipeline and drilling in ANWAR. Beginning work on the Keystone Pipeline will be one of the first orders of the day when Elizabeth is sworn in as the next U.S. Senator from CA. 0-513: President Obama’s irresponsible budget failed to get one vote in the House or Senate. Senate Democrats haven’t offered a budget in three years. Clearly simple enough to understand. Democrats and Republicans view the world differently. While the party on the left voted no because the program cuts in their minds were too severe, the Republicans voted no because the cuts were not deeper and taxes were not further lowered.